The Great Depression and New Deal characterized the decade and left a permanent mark on the American landscape both physically and psychologically. Our 1930s PowerPoint details the major causes and events during the era. We have included in this post a copy of some of the lecture terms and two crossword puzzles (puzzle 1, puzzle 2) linked to the lecture terms from the PowerPoint presentation. This 26 slide mini-ppt reviews the major causes of the Great Depression. We have posted it on SlideShare for your convenience. You can download it from there, or from our Free Downloads page. 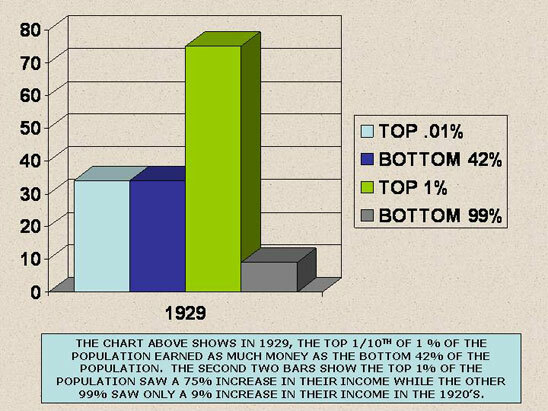 If you would like to see more on the Great Depression and New Deal, please check out our 177 slide PowerPoint on the 1930s. We found this gem of a primary source document while researching for our World History WWII PowerPoint. We wanted to see what was being said by major US leaders about the stock market crash, Great Depression and its effect on the coming war. 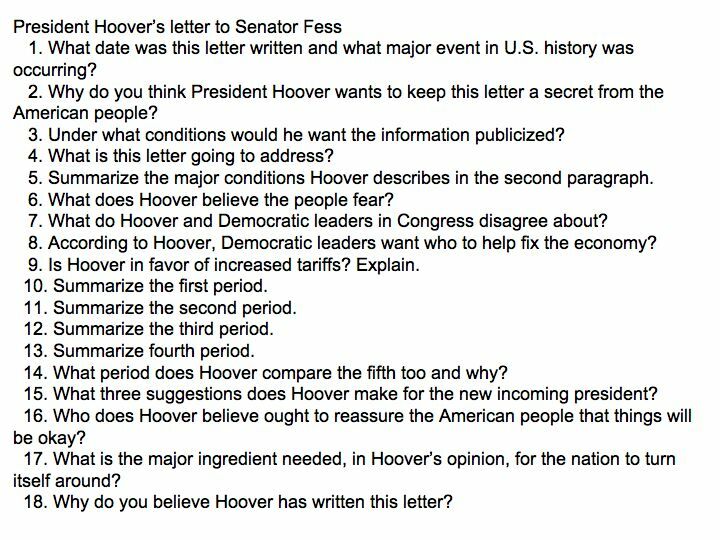 Hoover wrote this letter as a sort of insurance plan in case the incoming president was less than truthful about the causes of the depression. He wanted the letter kept secret so that it would not exacerbate an already tenuous situation. This firsthand account provides insights into what he believed happened and was happening in 1933. 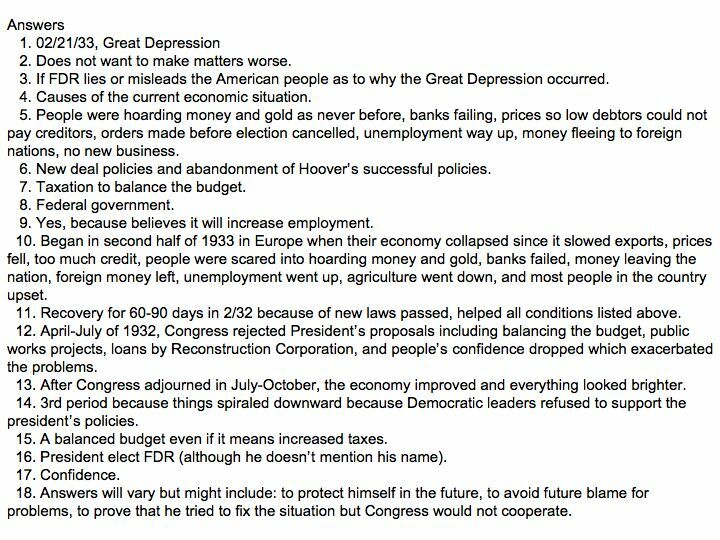 Hoover delineates five periods and explains the conditions that led to the collapse of the US economy. He also gives specific recommendations to solve it. We have included some questions and answers, please feel free to use them if you’d like. This game helps students understand the situation the US was facing on the eve of the stock market crash in 1929 by becoming investors in the Bull Market of 1928-1929 and in the Bear Market that followed, making and losing fortunes as industrial, rail, and utility stocks rise and fall in this simulation of the Wall Street frenzy. The Great Crash Game describes the unregulated environment of the stock market which led to the October 1929 stock market crash and the aftereffects. Help students understand the current economic crisis and stock market fluctuations through playing a historical game.